Guild members are involved in a variety of hands-on demonstrations throughout northern Colorado. We have participated in programs in schools, elementary through college, as well as in libraries, parks, Greeley's Centennial Village, and the Estes Park Wool Market Children's Tent. 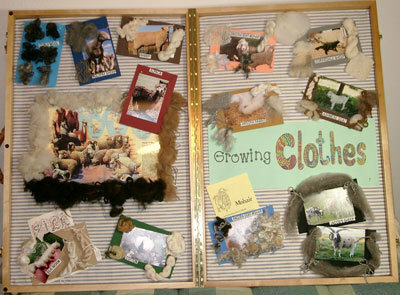 Portable suitcase-style displays are available for use in demonstrations.